India’s Parliament is not known for its productivity. Disruptions, adjournments and delays to proceedings are often a feature of parliamentary business in the world’s largest democracy. 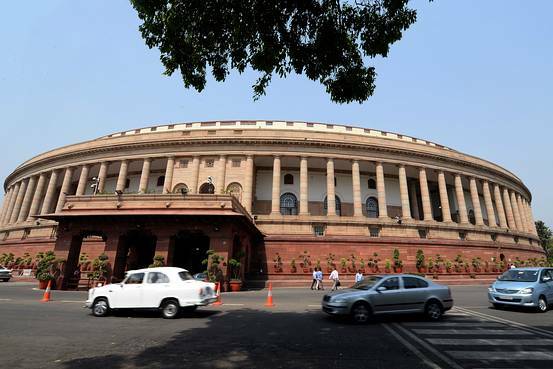 But the recently-concluded budget session was the most productive in recent years, according to PRS Legislative Research, an organization that tracks the affairs of the Indian Parliament. During the four-month-long sitting, productivity in India’s lower house –the number of actual working hours as a percentage of the total scheduled hours for parliamentary business – was 123%. That’s the most productive the lower house, known as the Lok Sabha, has been in 15 years. In fact, the lower house decided to extend the session by three days. The upper house was slightly behind, with a productivity measurement of 101%. “A lot of financial business got done, a lot of legislative business got done and a lot of issues of national importance were discussed,” said Chakshu Roy, head of outreach at PRS Legislative Research. “Both the houses met for a longer period of time and that’s the reason the productivity of the Parliament has gone up,” he said. Such prolonged discourse eventually results in robust policies and laws, which ultimately helps in better governance, said Mr. Roy. ”If you debate something extensively, then the different nuances of the subject come out,” he said. via India’s Parliament Just Had the Most Productive Session in Years – Here’s How It Did It – India Real Time – WSJ.